The country has a quarter of world’s “unicorns.” And three companies represent 16% of global digital advertising sales. For some time now I have been concerned about the state of American competitiveness looking out a decade ahead. Innovation has been the lifeblood of our economic success, and nowhere has this been more apparent than in information technology since the advent of the Internet and the Smartphone. China has risen from being a largely agricultural economy when Mao died in 1976 to become the second most important economy in the world today. Still, many thought leaders believe its growth, even at modest rates, is unsustainable and that the country is good at copying the technology of others, but not as strong as an innovator of fundamental technologies on its own. These observers are underestimating not only China’s economic momentum, but also the rate of progress they are making in innovation in all types of technology. Based on data compiled by the Industrial and Commercial Bank of China (ICBC),601398.SH in Your Value Your Change Short position there are 214 private companies in the world valued at $1 billion or more, known as unicorns. Slightly more than half (108) are, as you would expect, based in the United States, but 55 are in China, with the remaining 51 located in other countries throughout the world, mainly India, South Korea, Germany and the United Kingdom. Of the top ten unicorns, China has four (including numbers two and three) and the U.S. has six. According to ICBC, China’s innovation has been engineering-based rather than science-based and it is consumer-focused and efficiency-driven. Baidu BIDU in Your Value Your Change Short position (ticker: BIDU), Alibaba BABA in Your Value Your Change Short position (ticker: BABA) and Tencent together represent 16% of world net digital advertising revenue and 20% of world net mobile Internet ad revenue. GoogleGOOGL in Your Value Your Change Short position and FacebookFB in Your Value Your Change Short position are the leaders with a combined 43% of net digital and 51% net mobile ad revenue. In terms of world stock market capitalization, technology companies represent eight, or 40%, of the top 20 companies and two of these (Tencent and Alibaba) are Chinese. Chinese companies have made great strides in consumer applications. There are a billion “WeChat” accounts, Didi (the Uber equivalent in China) booked 1.4 billion rides in 2016 and close to $3 billion payments were made in China through Internet-based companies in 2016. There are 70 million active shared bike users. China has 751 million Internet users and 658 million Smartphone users; North America has 242 million on Smartphones. This data is impressive, but what is most meaningful to me is the money China has earmarked for research and development. China will be spending more on research by 2019 than the U.S. In 2014, the last year for which data was compiled by Battelle Memorial Institute, China was spending close to $300 billion, more than half of the U.S. total of almost $500 billion. Japan has been pretty flat at $100 billion since 2000; the U.S. has been gradually rising from $300 billion in 2000. China was only at $50 billion in 2000 and, according to the OECD, is expected to be over $600 billion by 2024, when the U.S. will still be around $500 billion. China believes that it has a competitive advantage in innovation, based largely on the strong support the central government is providing to a program that thrusts China into a leadership position in research. China’s huge market provides a strong incentive to any company developing an idea with commercial potential. Also the cost of doing research in China is lower than it is elsewhere in the world. Finally, for every stage of venture capital there is plenty of money available from both domestic and international investors. There were only 150 early stage investments in 2009; in 2014 there were 1886. Information technology accounted for 68% of early stage commitments; computer-related and electronics accounted for another 20%. China’s investment in research goes beyond information technology. Prior to 2010, the country committed almost $10 billion to research with biotechnology a focal point. The Chinese biotech industry has been growing at 30% and is valued at over $10 billion today. There are more than 580 biopharma companies. Chinese scientists have transformed normal adult cells into embryonic stem cells and produced live mice from these lab-produced cells. There are two major state funding sources – the State High-Tech Development Program and the Basic Research Program. China is the third largest filer of patents, after the United States and Japan. U.S. companies have been investing in Chinese biotech companies including, for example, Merck, Pfizer and Eli Lilly. Originally, Chinese firms provided contract services for foreign biotech companies that wanted to take advantage of their highly skilled labor and lower costs. As a result of the Thousand Talents Program, which provides grants and tax breaks to Chinese-born academics who return home to work after being educated abroad, original research has escalated. Regulatory reform has also helped by facilitating the movement of drugs from the laboratory to the clinic. Chinese drug manufacturers, however, continue to fail Food and Drug Administration inspections. A Chinese biotech company cannot go public to raise capital unless it is profitable, and while Chinese venture capital pools have grown rapidly, they still lag behind their U.S. counterparts in terms of funds available for entrepreneurial biotech companies. Earlier this year when I visited China, I was struck by the optimism of influential people. There was no talk of a “hard landing” for the economy. Economic growth, which had been over 10% as recently as 2010, had slowed to 6.76% in 2017 and was expected to be 6.4% next year. In my opinion, growth will continue in the mid-single-digit range for some time as China continues to bring workers from the agricultural countryside into the industrial cities. As the absolute size of the economy increases, the growth rate will naturally slow down, but, by my estimate, the Chinese economy will be larger than that of the United States sometime in the 2030s. Chinese urban employment has been growing at 3.8% per year and over one-third of the country’s population is now employed in cities. Policymakers have an annual target of creating jobs for 11 million people. They will not be able to sustain that level of job growth through the expansion of the traditional industrial sector, and that is why innovation is so important. Not only are they investing heavily in traditional research and development, but they are also acquiring natural resources in Africa for future industrial needs. The policymakers have a long term plan for the country’s growth and they are willing to invest the money now to make sure their objectives are met. 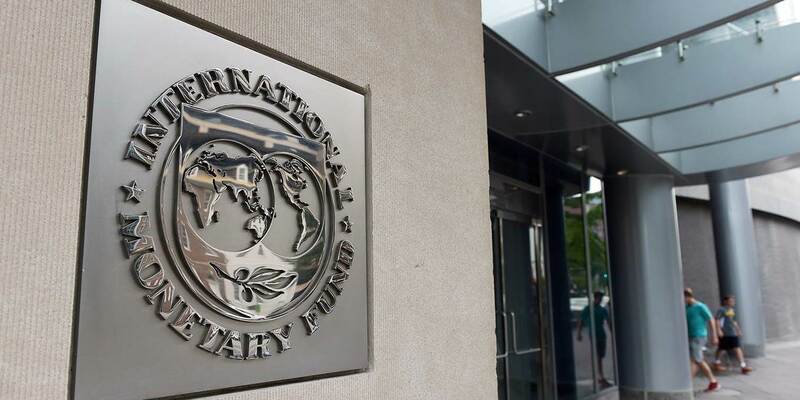 This gives them an advantage over more mature economies like Europe and the United States that are coping with budget deficits, deferred maintenance and decaying infrastructure. The basic components of the economy continue to show impressive expansion. Passenger vehicle sales are up 77% over 2011; airline passengers up 78%; electricity consumption up 35%; and container throughput up 43%. My thanks to Don Straszheim and his team at Evercore ISI for providing this data. China’s major accomplishment during the past decade has been to shift the balance of its economy from manufacturing and infrastructure to consumer goods and services. No economy can sustain its growth if it is heavily dependent on its industrial base, which requires heavy capital investment, incurring debt and export growth. The consumer is essential to a healthy and continued expansion. A decade ago the consumer sector accounted for less than 40% of Chinese GDP; today it is more than 50% and climbing. Quite an accomplishment. The big problem China has to deal with is the movement of capital out of the country, both by companies investing abroad and individuals anxious to have some of their assets overseas. The government is making an effort to control the outflow. An issue of concern for many investors is the level of Chinese debt, which has risen from 149% to 269% of GDP over the past decade. Increasing debt has accounted for two percentage points of China’s 7.25% growth from 2012 to 2016. There is also the worry that there are a number of non-performing loans on the books of the banks and “shadow” banks, but the adverse effects of these has been deferred by the country’s growth. We are likely to see renewed economic vigor from China as an aftereffect of the 19th Party Congress which took place in October. Xi Jinping will solidify his power as a result of the support given to him at the session. The One Belt, One Road program, designed to extend China’s economic reach across all of Asia, will help sustain China’s growth. The contrast with the United States is clear. China has a strong central planning function focused on the long term and its authoritarian structure allows it to implement its programs effectively. The United States has difficulty getting even its short-term initiatives through Congress. China has benefited from general market and economic conditions which remain favorable throughout the world. There are few excesses that would indicate a bear market or a recession is likely to occur in the next eighteen months. The one event that could change all that is a military confrontation between the United States and North Korea, and unfortunately, the odds of that happening are increasing day by day. There is no way China would not be somehow affected by this confrontation. China could, however, play a critical role in preventing hostilities by imposing sanctions that would cut off North Korea from Chinese fuel and food. China accounts for over 90% of North Korea’s trade according to the International Monetary Fund. So far, China has been reluctant to antagonize North Korea because it likes having a quasi-Communist buffer between itself and a democratic South Korea. China is the only country with any significant leverage over North Korea, so its cooperation in any negotiations aiming to prevent an armed conflict is essential. The North Korean nuclear program has been a problem for the West for several decades. Many times in the past, the United States and other countries have reached a settlement in which North Korea agrees to suspend its nuclear development program in exchange for a financial consideration. Months go by and North Korea violates the agreement and starts its nuclear program again. Graham Allison, director of the Belfer Center at the Kennedy School at Harvard, has drawn a lesson from the Cuban missile crisis of 1962: “If you are not prepared to risk war, even nuclear war, an adroit adversary can get you to back down in successive confrontations.” The Cuban missile crisis is not a perfect parallel, but in that case John F. Kennedy had two alternatives: he could bomb the Russian missile sites on the island, or he could create a naval embargo and also offer to remove U.S. missiles from Turkey as a bargaining chip. The embargo and the missile removal worked, and the Russians withdrew their weapons from Cuba. The hope today would be for China to stop the shipment of food and fuel to North Korea, but that does not seem likely to happen at this time. The difference between Asian concepts and our own may be philosophical. According to Samuel Huntington, who wrote The Clash of Civilizations and the Remaking of World Order, Confucian values are based on authority, hierarchy, the subordination of individual rights and interests, the importance of consensus, the avoidance of confrontation, “saving face,” and the supremacy of the state over society and society over the individual. Americans value liberty, equality, democracy and individualism. According to Huntington, we tend to distrust government, oppose authority, promote checks and balances, encourage competition and sanctify human rights. The confrontation with North Korea is generally characterized as a face-off between two impetuous and unpredictable leaders, but there may be something more philosophical going on here and it may have implications for the long-term relationship between China and the United States. In Graham Allison’s new book, Destined for War: Can America and China Escape Thucydides’s Trap?, he refers to the conflict between Athens and Sparta caused by the rise of the former. Henry Kissinger wrote on the dust jacket of the book, “I can only hope that the U.S.-China relationship becomes the fifth case to resolve itself peacefully, rather than the thirteenth to result in war.” The rise of China as a leader in technology may be a critical factor in this important geopolitical competition. I am grateful to my good friend Kiril Sokoloff of 13D Research for reminding me of the insights of Huntington and Allison. China’s 19th National Congress of the Communist Party is garnering a lot of attention right now, and rightly so. In a speech during the opening ceremony of the conference, President Xi Jinping heralded the beginning of a new era in China, but he was also surprisingly honest about the inadequacy of his first term. Although the congress will continue into this week—there are still important things to be decided, chief among them whether Xi will anoint a successor, as is tradition in China, or whether he will continue to rule as dictator in perpetuity—most of the major events have already taken place. Much of Asia had been in something of a holding pattern in the lead-up to the congress. But now, that holding pattern is over, and we can look ahead to some key events in the region that will reverberate throughout the world in the weeks to come. In Japan, Prime Minister Shinzo Abe’s coalition decisively won another term in elections over the weekend. It is a remarkable political comeback for Abe, who gambled that he could overcome some of the scandals dogging his regime and win another mandate, allowing him to continue his economic reforms and to push the country toward the controversial step of revising its pacifist constitution. Abe can thank North Korea in part for his political resurgence. North Korea’s launching of missiles over Japan and the inability to halt Pyongyang’s nuclear program have given Abe new life. But the important issue here is not so much Abe as it is a potential shift in Japan’s overall posture. Although China conceded to some of its weaknesses during the National Congress, Japan cannot bet that China will remain weak, no matter how difficult China’s problems are. The inability of the US to control the situation in North Korea, moreover, raises hard questions for Japan. A country shielded by a US security guarantee can afford to be a pacifist nation, but a country highly dependent on raw material imports and threatened by an adversary that may soon become a nuclear power cannot. Add to this the fact that Japan conquered much of the Asian coast in the early 20th century and treated its colonial subjects as inferiors. This leaves Japan in a tough spot. Japan has no shortage of enemies, and it can’t count on the US to prevent North Korea from acquiring a nuclear weapon. Japan will have to fend for itself. Meanwhile, North Korea remains as recalcitrant as ever. In the past week, Pyongyang has threatened imminent nuclear war against the United States and vowed to “mercilessly smash the war frenzy of the US and South Korean puppet warmongers” in response to US-South Korean naval drills. This theatrical language is typical for the North Koreans. But there are some statements related to the North Korean crisis that shouldn’t be dismissed. Last week, the CIA director said that North Korea was on the verge of possessing nuclear weapons capable of striking the US—and that President Donald Trump was resolute in not allowing that to happen. It is with all of this uncertainty swirling that Trump will travel to five Asian countries—Japan, South Korea, China, Vietnam, and the Philippines—in early November. It’s a fitting trip for the one-year anniversary of Trump’s election. Trump’s visits to Japan, South Korea, and the Philippines are aimed at demonstrating that the US is still committed to Asia, and not only because of North Korea. Photo ops, however, won’t be enough to prove this commitment. Japan and South Korea will want to know what the US plans to do about Pyongyang, while the Philippines wants to know whether it can still depend on the US to protect its interests—or whether it should cut a deal with China now while it has all the leverage. Trump’s trip to Vietnam is proof of a fundamental premise in geopolitics: Individual leaders don’t matter nearly as much as most people think they do. A country’s foreign policy will change very little when a new president takes office. President Barack Obama lifted an arms embargo against Vietnam during a visit to Hanoi. Now, President Trump is set to take his own trip to the communist country. The two nations may have an uneasiness toward each other because of the Vietnam War, but they share an interest in containing China, and this is more important than ideology and their historical animosity. Trump won’t eat noodles with Anthony Bourdain on the streets of Hanoi, as his predecessor did, but like Obama, he will look to strengthen the bilateral relationship with an eye toward isolating China in the region as much as possible. This leads us, of course, to China. It remains unclear precisely what Trump plans to do when he meets the Chinese president on his home turf. When they last met in April, Xi agreed to help the US contain North Korea in exchange for the Trump administration’s backing off some of its promises to punish Beijing for what it sees as unfair trade practices. Six months later, there has been no tangible progress on North Korea, and some of the more hawkish, anti-China voices in Trump’s ear have been sidelined… Steve Bannon most notable among them. And now, according to Politico, the White House is reportedly conducting a comprehensive, bottom-up review of its China policy. Rumors are swirling over what could result from Trump’s trip to China. Some think that he will announce some kind of major US-China agreement on how the two will coexist in the global economy. Others expect this to be a tougher conversation—a last ditch effort by Washington to impress upon Beijing what the cost would be of failing to make progress on North Korea. The only things that can be known for certain are that the US is not getting what it wants out of China and China cannot give the US what it wants. Whatever pleasantries are exchanged between China and the US won’t solve these issues, nor will Trump’s photo ops with other heads of state solve the North Korea issue. Until the US decides what it will do about North Korea, its policy in Asia will remain hostage to Kim’s regime in Pyongyang. This plays into China’s hands and leaves other US partners looking for alternatives. 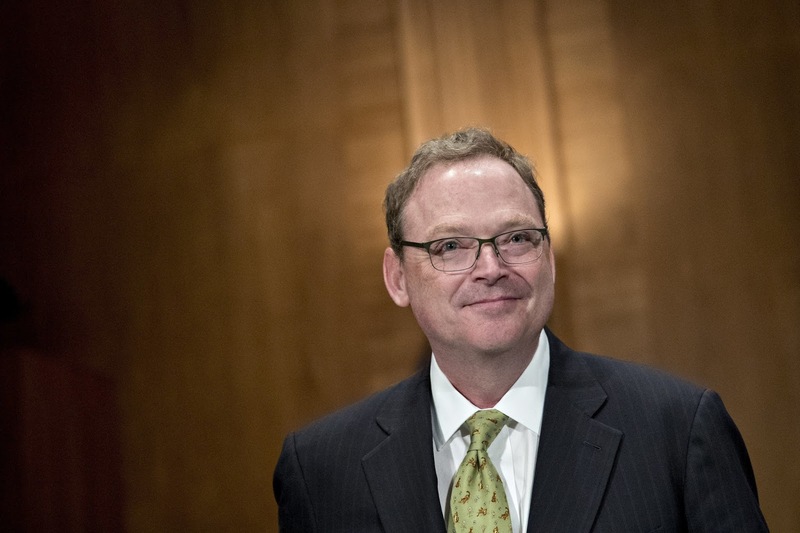 Kevin Hassett earns the wrath of the left by showing how tax rate cuts will help workers. What do left-of-center economists have against a tax cut that would raise wages for American workers? They’re always telling us that America needs a raise, and that labor isn’t capturing enough of corporate profits, yet along come Republicans promising to raise wages by encouraging more investment in the U.S., and they react with shock and smears. That’s the only way to describe the remarkable attack on economist Kevin Hassett for marshaling the considerable economic evidence that cutting the corporate tax rate to 20% from 35% will benefit workers. Mr. Hassett is an expert in this field, having done his own research over the years, and now he is chairman of the White House Council of Economic Advisers. Mr. Hassett didn’t start this fight. But he felt obliged to respond to the recent political assault on tax reform by the Tax Policy Center. The TPC, which fancies itself nonpartisan but has a record of opposing every Republican tax reform, assailed the Trump-Congress tax policy framework by inventing details that don’t exist. So on Oct. 5 Mr. Hassett responded in a speech at the TPC. There is a long and legitimate debate about who pays corporate taxes. Corporations essentially collect taxes that are ultimately paid by someone else: a combination of workers in lower wages, customers in higher prices, or shareholders in lower after-tax returns. For many years the dominant belief was that shareholders bore the biggest burden, but this has changed in recent decades with new research on the impact of capital mobility in a global economy. While labor is relatively immobile, especially across national borders, capital can go whereever it wants with relative ease. U.S. companies have taken advantage of this reality by investing more abroad in lower-tax countries. The benefits accrue to Irish or Singaporean workers whose jobs are created by that capital investment. In his speech at the TPC, Mr. Hassett noted that in 1989 the average statutory corporate tax rate in the OECD was 43%—compared with 39% for the U.S. Today the average corporate tax rate for the Organization of Economic Cooperation and Development—a proxy for the industrialized world—is 24%. Yet the combined average U.S. federal and state rate is still 39%. By making the U.S. rate competitive in a global market, capital will flow back to the U.S. for new investment. Much of that investment will go to increase worker productivity, which would boost wages. What really angers the liberals is that, in a paper released this month by the White House, Mr. Hassett collected years of economic evidence to make the case that cutting the U.S. rate to 20% would raise average wages by $4,000 to perhaps more than $9,000. Outrageous, says Mr. Summers. But Mr. Hassett isn’t alone. 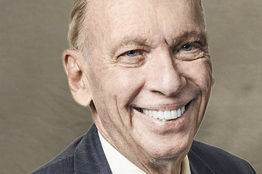 Economist Laurence Kotlikoff wrote on these pages last week that the GOP framework would “raise real wages by 4% to 7%, which translates into roughly $3,500 a year for the average working household.” Other economists have found the increase closer to $1,000. Still others say it’s higher, but the debate is over the magnitude of the raise, not the fact that American workers will benefit if the U.S. cost of capital falls. In his response, Mr. Summers has grabbed for the lifeline that a small economy like Ireland has no relevance to America and that Britain saw no increase in wages after it cut the corporate tax rate. But the corporate tax rate isn’t the only factor in the cost of capital, and the U.K. partially offset the benefit of the rate cut with other tax changes. And until Brexit, the U.K. economy was still one of the strongest in Europe. Other large economies are also cutting their corporate rates, and Emmanuel Macron wants to cut the French rate to 25% from 33%. In his paper Mr. Hassett points out that wage growth has been far greater since 2013 in the 10 developed countries with the lowest statutory tax rate compared with those with the highest. Which brings us back to why Mr. Summers and his followers are so upset now. Our guess is that it has something to do with the disastrous record of their own policies in lifting wages. Mr. Hassett had the audacity to point out that real corporate profits rose 11% a year under President Obama, but “the pass-through to workers” was only 0.3%. The Summers crowd that preaches about the dangers of inequality presided over an economy that increased it. Obamanomics was great for Wall Street, not for the American middle class. How dare conservatives try to do better—and with policies that look to increase supply-side incentives rather than by redistributing income, fixing prices and regulating business to the point that capital investment has been historically weak. If we presided over that liberal record, we’d be sore, too. But if they look in the mirror with some honesty, they might understand that the failure of their policies in lifting wages is one reason Donald Trump is President. Meanwhile, why begrudge Americans a raise? EDINBURGH – In 2013, Chinese President Xi Xinping heartened many Western economists by committing to a “decisive role” for the market within China’s economy. Four years on, expectations of significant market-oriented reform have been dashed, and state influence over the economy has significantly increased. Yet the Chinese economy continues to grow rapidly and will likely continue to do so. If it does, longstanding assumptions about the optimal balance of state and market mechanisms in driving economic development will be severely challenged. The 2008 financial crisis was a shock to faith in entirely free financial markets. But the neoliberal assumptions underlying the previously dominant “Washington Consensus” continue to inform much Western commentary on China’s economy. Deeper financial market liberalization, it is argued, would better discipline the real economy and lead to more efficient capital allocation. Capital account liberalization would prevent wasteful investment in low-return domestic projects. And reducing the role of dominant state-owned enterprises (SOEs) would unleash innovation and economic dynamism. But, as Joe Studwell of the China Economic Quarterly argues persuasively in his book How Asia Works, the original East Asian success stories – Japan and South Korea – got rich by ignoring most of this policy prescription. Finance was kept on a tight leash; credit was directed or guided to support specific government-defined industrial objectives; and domestic industry was nurtured behind tariff protection, while being forced to compete aggressively for overseas markets. China is attempting to follow Japan and South Korea’s path of rapid economic catch-up. But in some ways it faces a more difficult challenge, because its sheer size makes it essential to move away from a predominantly export-driven growth model at an earlier stage of development. To meet that challenge, it seeks to use a pragmatic mix of market incentives and state direction. Private-sector entrepreneurship plays a vital role. Huge companies such as Tencent and Alibaba are second to none in innovative flair. Chinese bicycle-sharing apps are now being copied in advanced economies. And private companies play world-leading roles in renewable energy and electric vehicles. In part, China is a vibrant capitalist economy. But huge state-driven infrastructure investment – in excellent subway systems and high-speed rail, for example – creates a powerful platform for modern economic growth within rapidly expanding and well-connected cities. And through the “Made in China 2025” program, China’s leaders are seeking to use state-defined objectives to drive Chinese industry toward higher technology and value-added. High-priority sectors such as robotics, aerospace, electric vehicles, and advanced medical equipment have been identified; targets for increased spending on research and development have been established; and leading state-owned companies will play a major role, alongside private companies. This is a far cry from the policy prescriptions of the Washington Consensus, but not from the policy mix deployed by South Korea during its period of explosive economic growth in the 1960s and 1970s. After 2009, meanwhile, higher investment, funded by state banks, played a vital macroeconomic role, maintaining growth in the face of the global economic slowdown. And maintaining an only partly liberalized financial sector, which channels savings to investment at below-market rates, has made it easier to maintain the high investment essential to sustained rapid growth. The advantages of this policy mix certainly come with significant risks. If the role of the SOEs is extended too far, the private sector will be squeezed out, and the Made in China initiative could easily result in misdirected investments. Already, credit-fueled real-estate investment has undoubtedly resulted in massive overbuilding in some second- and third-tier cities, with properties held as speculative vehicles rather than to meet real housing needs. The very fact that the banking sector is tightly controlled has fostered dramatic growth in shadow banking activities, creating complex financial instruments and structures eerily reminiscent of those that helped create the 2008 crisis. And the huge increase in leverage – non-financial debt has grown from less than 150% of GDP in 2008 to more than 250% today – might well lead, as People’s Bank Governor Zhou Xiaochuan has just warned, to a “Minsky moment” of evaporating confidence and severe financial stress. Given these risks, any long-term growth prediction is uncertain, and a significant short-term slowdown may well occur. Indeed, with the 19th National Congress drawing to a close, the Chinese authorities may deliberately engineer a slowdown as part of a strategy to limit further leverage growth. Such a slowdown would have a major depressive impact on the global economy. But the tools available to China to manage such a slowdown within a “hybrid socialist market economy,” and thus to maintain strong medium-term growth, should not be underestimated. The very fact that most corporate debt is owed by state-owned enterprises to state-owned banks, with only limited links between the Chinese and overseas banking systems, will make it easier to implement a restructuring program for bad debt without provoking a self-reinforcing crisis. Likewise, as China’s demographic profile causes the labor market to tighten sharply, rapidly rising real wages will make it easier to achieve strong growth in domestic demand without excessive credit creation. So, whatever its short-term prospects, there is a good chance that China’s economy will continue to grow toward middle- and then high-income levels, driven by a mixed market- and state-driven development model. If China had more comprehensively embraced the policy prescriptions implied by the Washington Consensus over the last ten or 20 years, its economic growth would have been considerably slower. The economic theories that underpinned those prescriptions must reckon with that fact – and with China’s likely continued success. Adair Turner, a former chairman of the United Kingdom's Financial Services Authority and former member of the UK's Financial Policy Committee, is Chairman of the Institute for New Economic Thinking. His latest book is Between Debt and the Devil.